Robert Zemeckis has never shied away from big, technical projects. Landing a plane upside down, for example, or reinventing the entire 20th century through the eyes of a genial idiot. He even managed to make American audiences care, if only briefly, about Beowulf, of all things. 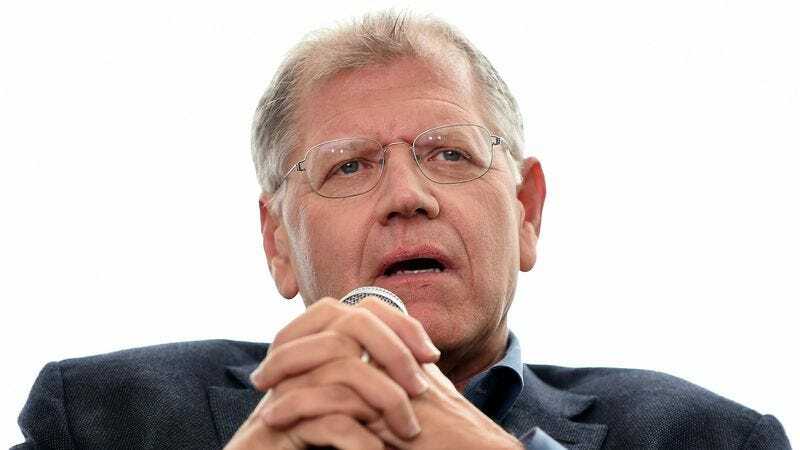 Now, Zemeckis is facing what may be his biggest challenge yet, with mysterious, unseen voices—i.e. the higher-ups at NBC—commanding him, Noah-like, to build for them an ark. Or, rather, build for them The Ark, which is the name of the new show Zemeckis has just sold to the network, about an engineer who finds himself moved to build an interstellar escape vessel for humanity just as the end of the world suddenly looms. Described as “a grounded, modern retelling of the Noah’s Ark story from the Bible,” the project is produced by Zemeckis and Jack Rapke, and penned by Black List screenwriter Daniel Kunka. If The Ark is successful, we can probably expect to see a lot more Bible stories get the “grounded, modern” treatment some time soon. Stay tuned, maybe, to see King David heroically triumph over a guy two inches taller and twenty pounds heavier than him! Feel your heart warmed by the story of Joseph and Mary, who conceive a baby after only trying for a couple of weeks. Thrill as the wicked Salome demands the hat of John The Baptist! It’s high time the Good Book became great TV, and it sounds like Zemeckis—whose last TV project was the 1997 horror anthology Perversions Of Science, but who’s had a bit of renaissance with his recent return to live action—is just the guy to do it.